while defining the transfer function, Laplace transform has been used be­cause it transforms all the differential equations to simple algebraic equations. Fig. 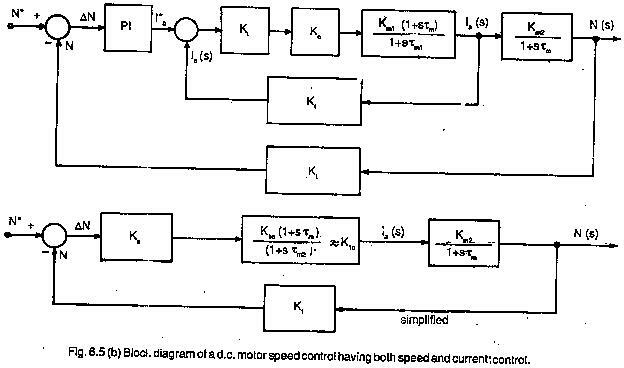 6.5 depicts a block diagram of a dc motor in a drive system. The mo­tor has armature voltage as input variable and speed as output variable. The transfer function is written in the block. 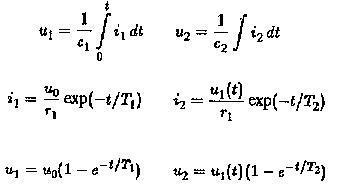 The transfer function is derived from the set of differential equations which describe the behaviour of the system. It, however is not concerned with the internal physical structure of the system. Dissimilar physical systems may have similar transfer functions and also similar dynamic behaviour. 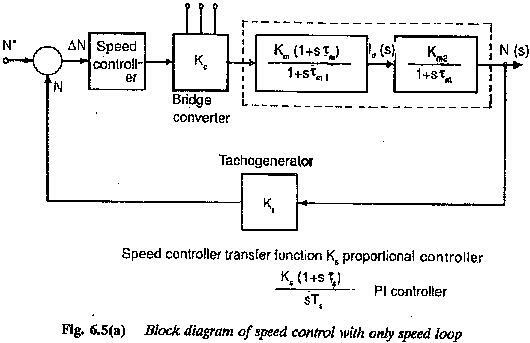 The transfer function is in terms of parameters of the system and is a property of the system. It does not depend on the magnitude or nature of the input. The highest power of s in the denominator represents the order of the system. A simple example is given in the following to show the simplicity afforded by the transfer functions. 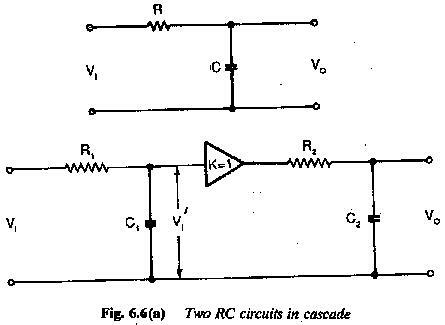 Two RC circuits are connected in cascade, as shown in Fig. 6.6. If one more RC circuit is added in cascade to the given circuit–the evaluation of u2/u0 is very difficult. as using partial fraction expansion.